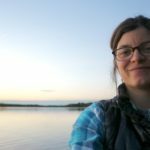 Meet Aubrey Miller, outdoor enthusiast, passionate advocate for our wild places, and founder and co-owner of Redbudsuds, a female-owned company that created a four-in-one shower bar for the eco-minded adventurer. Redbudsuds is part of Patagonia’s 1% for the Planet and gives 1% of its total annual sales to several organizations, including FLOW! 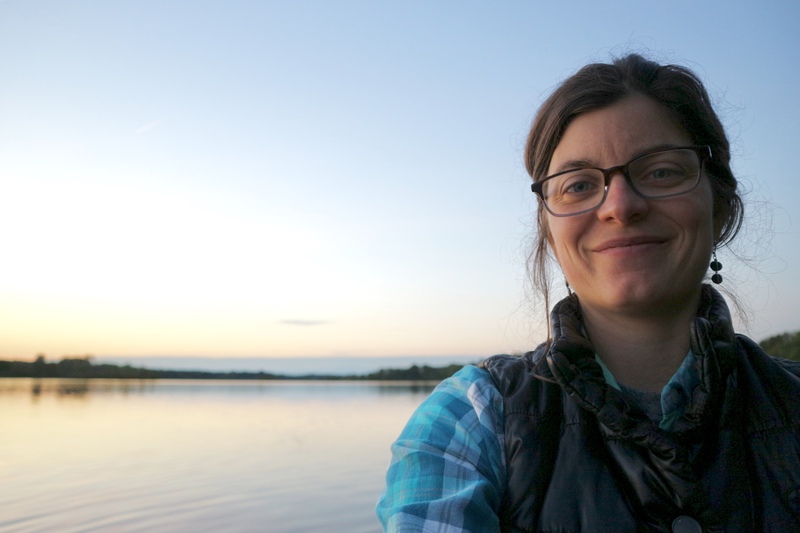 In this partner spotlight, learn about Redbudsuds and what inspires Aubrey to protect our waters. What’s the origin story of Redbudsuds? What started as a soap-making hobby turned into my soap box for creative environmental advocacy. In my unsuccessful quest to find a plastic packaging-free shampoo with ingredients I could trust that worked, I decided to make my own. As I learned formulations, I thought: why not make one bar that does it all? The 4-in-1 shower bar was born, as was the brand Redbudsuds: an easy first step for anyone wanting to simplify their life, connect with what matters, and protect the land and water we love. My adventure towards Redbudsuds began in 2012 when my husband Clinton and I traded our secure jobs for a van and an open road. Believe it or not, this was even before I owned a smartphone and knew what Instagram was! We just knew that too often in modern life, we’re so busy that we forget to reflect. We lose sight of how interdependent we are on the earth and each other. For us, the journey that followed shifted our perspective. We spent 2 years touring the country to rock climb and paddle, working as guides and whatever else we could find, immersing ourselves all the while in the vastness of our country’s public lands. While our friends were advancing their careers, we were learning lessons from the land and people closest to it. Taking time to slow down – to notice, to truly pay attention to our relationships with our fellow travelers and the earth – had an enormous impact on us. It was out of this experience that the concept for Redbudsuds came alive. It is more than something to get you clean; it’s a reminder that every day we make small but important choices that actually make a difference. Are there other companies that have inspired your business ethos? I have been very inspired by companies that consider the triple bottom line (profits, people, and planet) like Patagonia, Ben & Jerry’s, and Better World Books. In college, I also had the privilege of working for two women (Elaine Stauffer of Warfel’s Chocolates in Harrisonburg, Virginia, and Rachel Shenk of Rachel’s Bread in Goshen, Indiana) who ran their own businesses successfully while always taking exceptionally good care of their employees and customers. These examples helped me see what is possible. What are some of the issues facing our environment that you’re especially passionate about? I am particularly passionate about water, for one, because it is the essence of life and here in the Great Lakes region, we completely take it for granted. I am also passionate about the loss of connection that most people in modern society have to their environment. I don’t even like using the word “environment” – it sounds so sterile, like we’re somehow removed from it. But we’re a part of nature, not apart from it. How we treat the land, the air, the water, comes back and affects our own well-being. I dream of seeing this wonder awakened in people, so that we aren’t threatened by the idea of changing our behaviors to be more ecologically mindful, but awakened to treating nature with love because we are in awe of what it has given us. The rise of people living in cities and the prevalence of technology have definitely played a role in our disconnection with nature. But cities aren’t inherently bad, nor is technology. I just think we need to get smarter about the impacts they are having on us – mentally, physically, spiritually, emotionally – and redesign ours in ways that honor, rather than destroy, the land and water that sustain us. We have a lot to learn from native cultures. I hope we start listening. Do you have any advice for start-ups and entrepreneurs who want to become more socially responsible through their business? 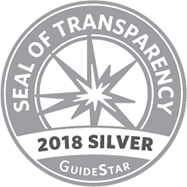 For start-ups and entrepreneurs, you actually have it easier than businesses who retroactively want to start implementing sustainability measures! Build it into your business plan. Design it into your brand’s DNA. When you know from the beginning that being more socially responsible is a core value, you have such an advantage towards actually meeting those goals. Be specific. Don’t try to do it all, but find one aspect you can really focus on. Research shows that people are looking for brands that stand for something, so make it clear, and stand strong. You recently returned from the Outdoor Retailer’s annual trade show and the Skip Yowell Future Leadership Academy in Colorado. What were some of the highlights of this experience? While it may not seem intuitive that the founder of a soap company would show up at a trade show geared towards outdoor adventure gear and apparel, I love how unified the Outdoor Industry is as a whole on promoting sustainability and environmental advocacy through business. I learn so much every time I go, and get so many ideas for collaborations and how I want to improve both my business and my personal life. Currently, there is a huge grassroots uprising for greater diversity, equality, and inclusion in the outdoors. Through Outdoor Retailer, I’ve learned about groups like Outdoor Afro, She Explores, Adventure Mamas, Brown Girls Climb, OUT There Adventures, Girl Trek, Indigenous Women Hike, and Latino Outdoors. Additionally, the Skip Yowell Leadership Academy has been a phenomenal way for me to start connecting with young professionals from tons of different brands I have long respected and admired. Getting myself out of my comfort zone and into the places where transformative growth can happen is definitely one of my life goals! Many of your blogs encourage readers to take simple actions at the individual level to protect the health of our water and land. What are some of your favorite tips for people to make small changes that have a greater, collective impact? Tip #1: Pick something specific; don’t try to do it all. For those of us who are really passionate about environmental issues, we tend to get really frustrated by consumerism. We can fall into the trap of feeling like it is totally up to us to “save the world.” We can’t, at least not on our own. So pick something that inspires you, something that you can do with love. The best examples are things you do once and then they act on their own, like buying a hybrid or electric car, for example, the next time you need a vehicle. Or switching your home energy usage to renewable energy. Or using low-impact personal care products that eliminate your plastic use in the first place AND give back to environmental causes (i.e. Redbudsuds. Shameless plug!!). Once that thing has become a mindless habit, then pick something else and grow from there. Tip #2: Don’t judge others’ journey towards living more sustainably. It’s tempting when you are passionate to want everyone to share that passion. But remember: there are SO many ways to take action against pollution or climate change or whatever environmental issue gets you most riled up. Reading the book, Drawdown (part of Project Drawdown), opened my eyes to just how varied the options and solutions are. We need ALL the solutions, and people approaching this from different angles. So invite conversation, and feel free to share what you’re doing to protect land and water, but always do so with respect. Where’s your favorite Great Lakes spot to visit? This one is hard! I have fond memories of climbing and enjoying the expansive views of Lake Superior from the top of Palisade Head at Tettegouche State Park (in Minnesota), so we’ll go with that. 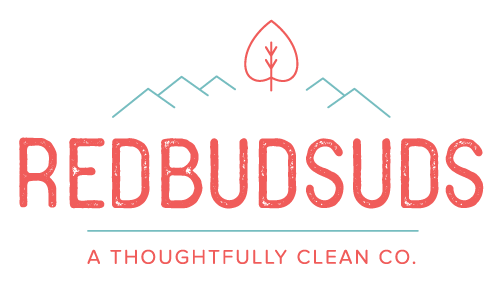 If you’re interested in learning more about Redbudsuds and where you can find their eco-friendly soaps, check out their website, and don’t forget to follow them on Facebook and Instagram!